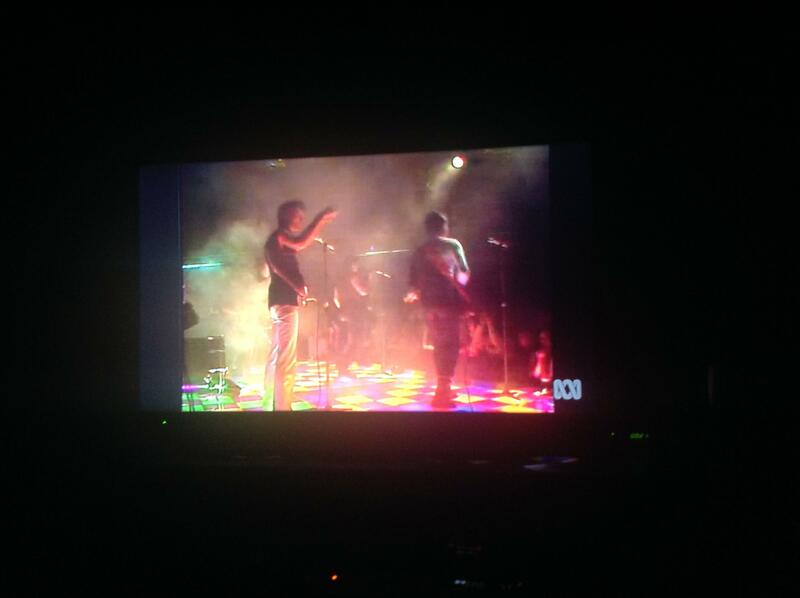 Summary: THIS SHOW REMEMBERS THE CONTRIBUTION OF NEW ZEALAND MUSICIANS TO THE AUSTRALIAN ROCK INDUSTRY AND IS INTRODUCED BY MOLLY. Summary: GUEST HOST IS MARTHA DAVIS FROM THE MOTELS. POPULAR MUSIC SERIES FEATURING LOCAL & OVERSEAS ARTISTS INCLUDES TOP TEN, CHARTBUSTERS AND MOLLY PRESENTS MUSIC NEWS IN 'HUMDRUM'. THIS WEEKS SHOW HOSTED BY RENEE GEYER. IN LONDON, A HEAVY METAL PREVIEW AND MOLLY PRESENTS THE MUSIC NEWS IN 'HUMDRUM'. GUEST ARTIST IS DARRYL COTTON AND THERE ARE INTERVIEWS WITH KIM CARNES AND SHAKIN STEVENS,BOTH RECORDED IN LONDON WITH CHERRY RIPE. 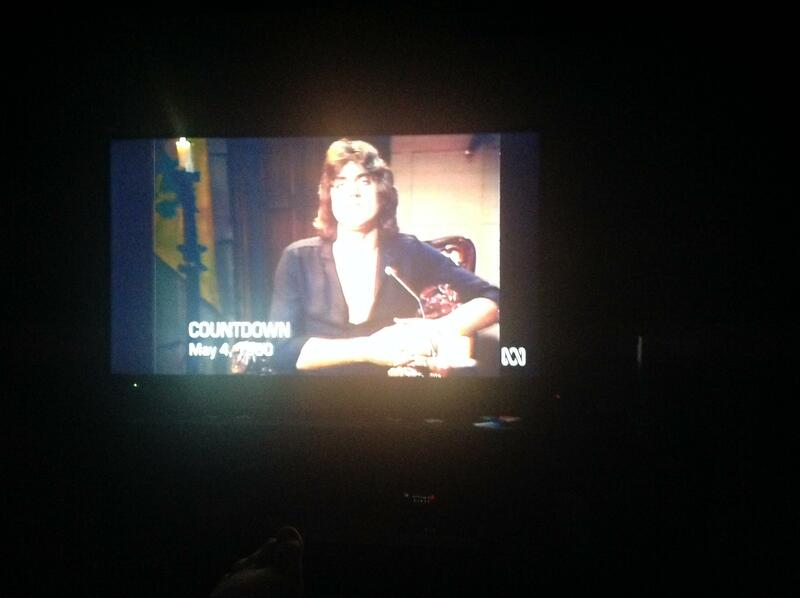 Summary: JON ENGLISH HOSTS THE SHOW. That GTK announcement may not amount to anything, as I've said. ALL of these have been aired in recent years. The Paul McCartney clip aside, which I think has only aired once on a Monday night vault episode, the rest have all aired multiple times. Disappointing. I hope this is not a 'theme' for the Saturday morning preview hour for this year's retro month, but odds are, it will be. I am sooo excited, amazzzzing episodes and one of my requests from 04/05/1980 which I requested for Craze with Motions, I have been hunting for this video for years, FINALLY! ... I hope it is played in full as sometimes the archivists listed videos as snippets or videos as Performances or Performances as videos. It does say that rage starts at 11:00 pm on their website and on TV guide it says 11:29pm, I hope my last requested episode doen't get cut. The rage playlist can only handle times ending in :00 or :30, so it's normal for them to have 11:00 listed as the start time when 11:29 is actually when it begins, though it is confusing/misleading to read. But yeah, if rage starts later than normal, it would be unfortunate if an episode gets culled. But normally this only happens when there is an election on, or when an earlier program like Q&A or Parliament Question Time runs overtime (so the Monday night vault episode often cops it). It doesn't usually affect Saturday night too much, unless there is election coverage. Waste of the Saturday morning segment I agree, but that's a great list of Countdowns tomorrow night. I too am somewhat disappointed with the Saturday morning clips and echo everybody else on that selection. Good to see Saturday night more than makes up for it. If I am not mistaken these Countdown shows have not been played as part of Rage Goes Retro Month since their first screenings back in the 80s so like many, I too am very excited to be able to view these once again. Really good to see that shows are not being replayed as part of Rage Goes Retro Month either now. The whole January, 2019 didn't fit and I can only edit Topics and Posts for an hour. As this is my forum, I am able to Delete any posts I wish for as long after as possible but not Edit Topic titles. 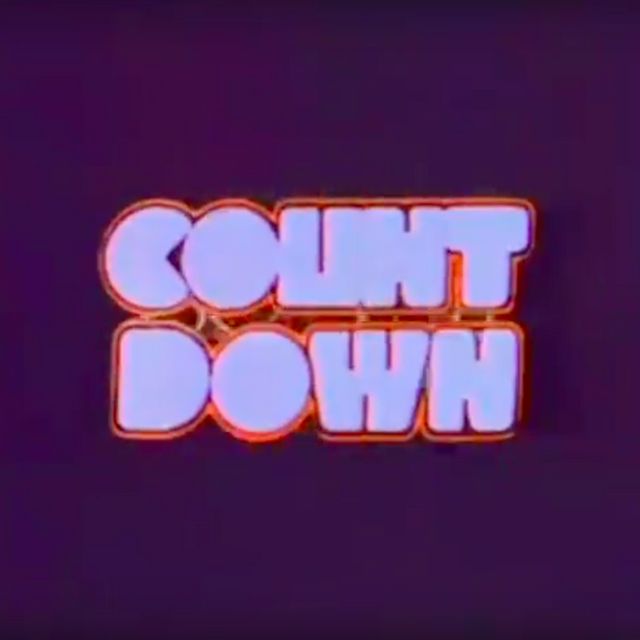 I was so thrilled with the six Countdown episodes being played this weekend that I didn't pay attention to the 2019. Very pleased about this. A poor quality upload used to exist on youtube, taken from VH1 when they used to have "top 5 female artist" or whatever countdowns made up of live performances from Countdown. Theirs had VH1 superscripts all over it and a voiceover cutting into the start of the song. I could have sworn the NZ invasion episode has been repeated during the RAGE Retro months sometime in the past. Same with John Peters Heavy themed episode. Unless my memory is having flashbacks, and I saw them in the original showings back then. I have everything I recorded since 1993, although I did stupidly edit out things I didn't like on some episodes in the 1st year of the repeats in 1993. I still have alot of my recordings on VHS tape between the 93-2004 repeats, when DVD recorders were more affordable and i switched over then. None of them have ever been repeated on Rage Stephen. Like you I also didnt keep all of the 1993 repeats, which was the first year they happened. Hard to believe its over a quarter of a century ago now. Definitely looking forward to the John St.Peters episode. I have not seen Outline - Cities in nearly 40 years. I still have the single. The Daryl Cotton show has The Stockings (from Perth) on live. Bernie Lynch (as Rip Torn) was a member of this band and co-wrote the song before going on to form Eurogliders. They were originally known as Rip Torn and The Stockings. Is this the same Outline band that sang Maybe It's A Game? The NZ invasion episode looks fantastic- love that the clips are from the 70s and 80s and even the 60s with "She's A Mod". Looking forward to the Bill Wyman video - don't recall "A New Fashion" but loved his other two singles "Je Suis Un Rock Star" and "Come Back Suzanne? 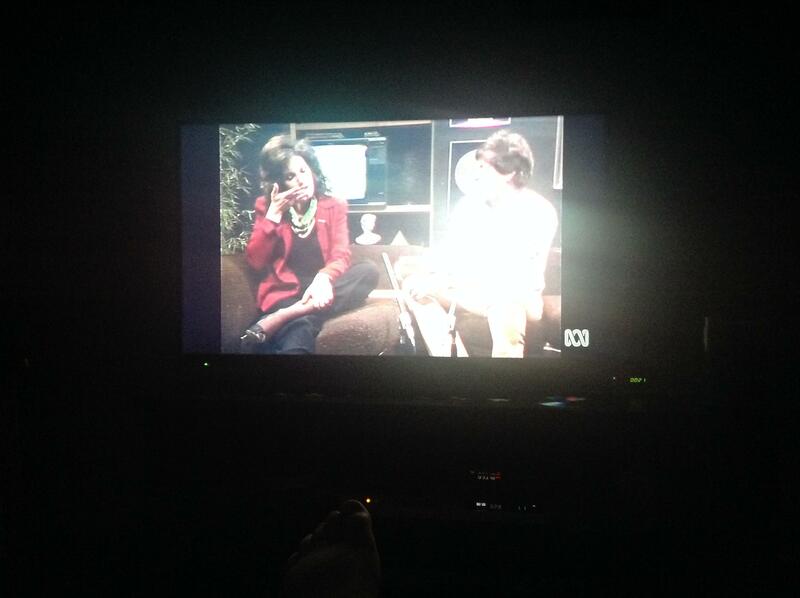 The picture is nearly touching the edge of the ABC watermark on the first episode. Not a good sign. Episode 2 is also stretched, but there is a little bit more space between the picture and the edge of the watermark. Like episode 1, it is also stretched a bit on the left hand side. 'Cause they've outsourced broadcasting to the work experience kid who thinks stretching a 4:3 image to almost 16:9 is making an improvement? Episode 4 is similar to the picture for episode 2 - stretched picture but a thin space between the edge of the picture and the watermark. 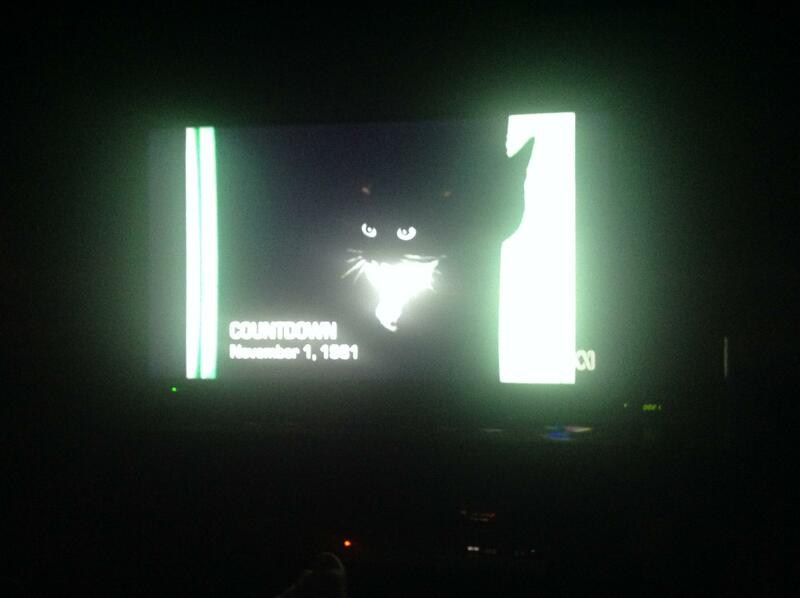 The last Countdown episode shown doesn't touch the watermark, but has been stretched horizontally too, similar to the second and fourth episodes shown. Edit - the image is almost touching the watermark in the Godley & Creme video. I just checked my 16.9 recordings about 20 minutes ago and was annoyed as I watched them live whilst recording in 4.3 so didn't see how stretched they were. I will keep both 4.3 and 16.9 copies though. The overlapping is so unnecessary, I don't see the point, arghhhhhhhhhhh!!!!!!!!!!!!!!!!! I have just emailed rage's facebook page and used your overlapping photos Nathan. If they don't answer I shall be calling rage in the next few days as I did last year about such overlapping nightmares! Are they stretched or zoomed in? That's what I was thinking, it looks like bits of the top and bottom are cut off. I have a couple of those episodes on timecoded copies, might have to check them to see what the difference is. In the Renee Geyer episode it looks like Kim Durants' hair keeps going out of the top of the screen which I don't think is how it would have been. It will be interesting to see if that is the case. Could you put some screenshots on here please? Someone here (I forget their username) compared a stretched video with one in its original 4:3 format, a while back, and found that the picture on rage was just stretched and not cropped. Though I suppose that doesn't necessarily mean they didn't crop/zoom in on some of last night's episodes. I hope not, though. Either way, it's ridiculous. 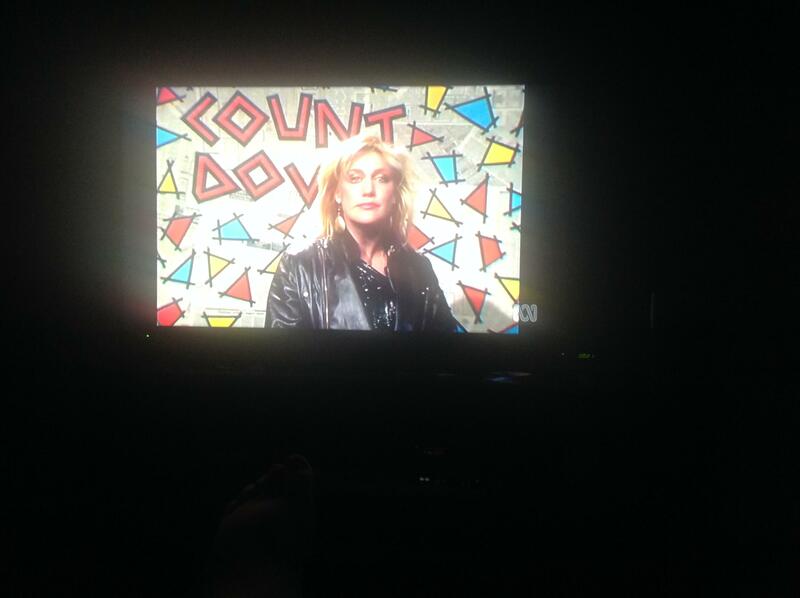 The Renee Geyer shot with 'Countdown' in the background behind her would be a good one to compare, if someone has a timecoded copy of that episode; as you could compare where the shapes in the pattern cut off. We had a blackout last night, and the electricity didn't come back until 3.30am. I got the last episode, but missed out on the first 5 episodes. My power went off for a few seconds during the Vapors interview in the last episode, but I can live without that. Hey.. They should appear in this folder over the next hour. Thanks Chad, you are a champion! So appreciated. The clip of She's A Mod was so out of place with the rest of the show. I was amused. Very disappointing when this occurs though I can live with this as I like to see Countdown in its original full screen format. I hope we never see the ABC1 watermark ever again. 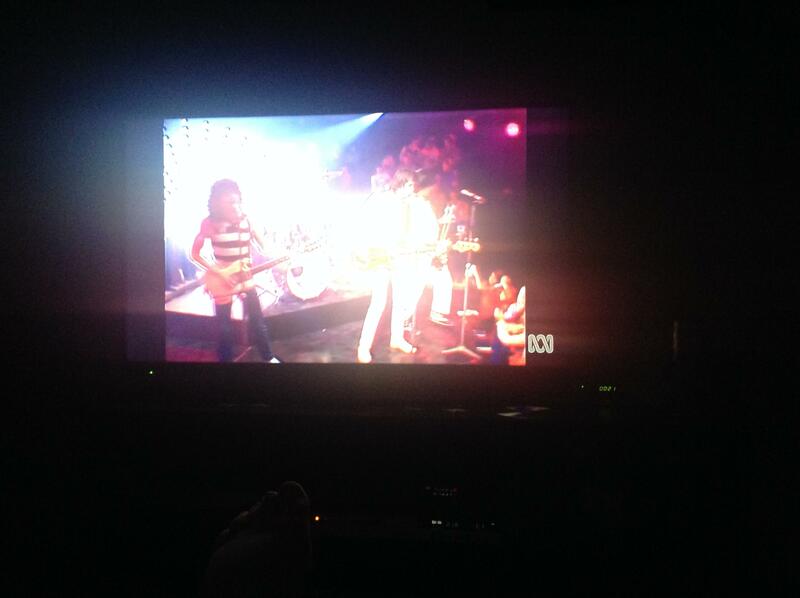 That was a real shocker especially when Rage aired the Sheena Easton hosted episode and Rock Arena Rock N Roll Ladies Divinyls, Sharon O’Neill etc show as it spoiled those shows big time for me. I hope we see these again just so I can get better copies without the Watermark on the actual screen during these shows. I think it was back in 2012 when this happened. I was so glad to at least get the Sheena Easton performance of Modern Girl this morning finally a much better copy now. ^ Yes, the earlier ABC1 watermarks (the original blue one, and later the white one with the big 1) were awful, and we endured those from late June 2010. The watermark was moved out of the 4:3 screen area when analogue TV was switched off in December 2013, just in time for Kim Wilde's guest programming, which was great timing. 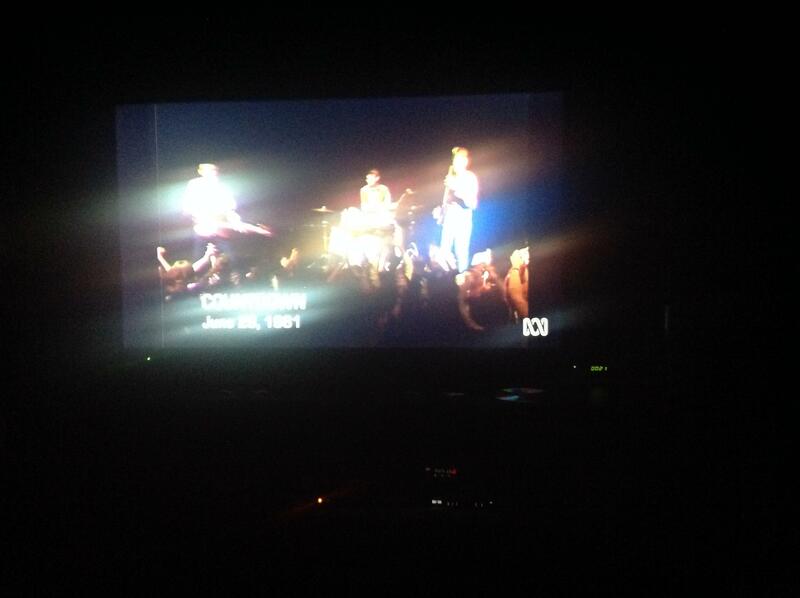 I'm not sure when the switch to the current ABC watermark occurred. While it is less intrusive than the earlier versions of the watermark, I wish it wasn't there at all. Same here, I would rather it was not there at all. I’m sure there are others who feel the same. Maybe we should all petition the ABC to remove it. Never know if enough people complain to have it removed they might just consider it. Every channel seems to have a watermark on them now. Programming for other shows during a show or movie on commercial tv well don’t even get me started about how annoying that is. I was curious to see "Motions" by Craze that Jason was so keen to get. Never seen/heard it before. Unfortunately I can tell that the Countdown copy of the clip is a film transfer - the original clip was recorded on videotape. As a result the fidelity is pretty bad - the colours are shifted, it's very blurry, and there are dust mark/scratches on the film transfer. Although that copy isn't great either (from a VHS tape with a few dropouts) the clarity and dynamic range are much better. Unfortunately there was a period from about 1978 to 1982 where copies of clips sent to Australia were often film transfers, even if the original was shot on videotape, because videotape was so expensive and making film copies was much cheaper. They basically would show the videotape on a CRT and film the screen! This transfer method also resulted in loss of the picture edges. It was so lo-tech. rage still has in their archives lots of clips which were recorded on videotape but rage only has poor quality film transfers. I should send them upgraded copies I have of many of these clips and see if they upgrade their archive. As far as Craze with Motions, it was a pity that it was cut and the quality was not great. going to have to try and get the video somehow, someday. Hey Jason, if you want to earn a few bucks for your overseas trip, any chance of you burning Week 1 Countdowns onto disc for me in 4.3. I also need 13 April '86 episode from last year. email me. Cheers.